The smell of summer is in the air which can only mean one thing: it won’t be long before the kids are off school and a summer getaway is on the cards. It doesn’t matter whether you are going to Ireland or Barcelona to take in some culture and history, or if you are going to France or Greece for a beach break; there will always be industry and hard work behind the scenes getting you there and ensuring you have the rest and relaxation you deserve. The airport staff, pilots and cabin crew work hard to guarantee that your flight runs smoothly, safely and on time. The leisure and hospitality industry workers are there to ensure your stay at the hotel is as pleasant as can be. More than that, though, there is a whole host of products from the UK’s Number 1 tank manufacturer, Tuffa Tanks, that will help make your summer holiday one to remember for all the right reasons. All vehicles need fuel and other chemicals to ensure that they get you from A to B efficiently and with as few emissions as possible. Here at Tuffa Tanks, we provide bunded fuel tanks to store engine fuel en masse to airports up and down the country, and around the world. 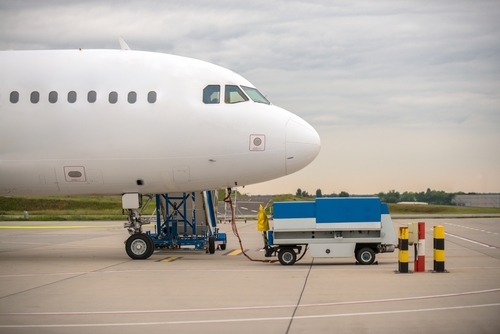 In addition to this, we also provide AdBlue and chemical tanks to help keep aeroplanes safe in the skies above. Without these vast storage tanks on site, it would take much longer to get your flight prepared for take-off – and we are pretty sure that this is the type of delay that would kick your holiday off to a sour start. You’ve made it to your hotel, the sun is shining, and you’re all set for a dip in the pool while the kids take on the games room and the husband heads to the golf course. Hotels without swimming pools in the hot, summer weather are missing a trick, which is why so many have them! With the sheer volume of guests that hotels have, keeping the pools clean and sanitised with chlorine is vital to ensuring your holiday is as good as can be. Chlorine can be stored in chemical tanks to ensure the pool stays as clean as it should! When it comes to playing golf, the length and quality of the grass can make or break a game. Sports like this need courses that are tended to and looked after on a daily basis to ensure that lush, green grass is as perfect for your game as can be. Water storage tanks are perfect for this and are kept on site for ease of use. So you see, the world of steel tanks is far reaching and much more versatile than you might have first imagined! For more information about the UK’s Number 1 tank manufacturer, please visit our website or call us on 01889 567700.